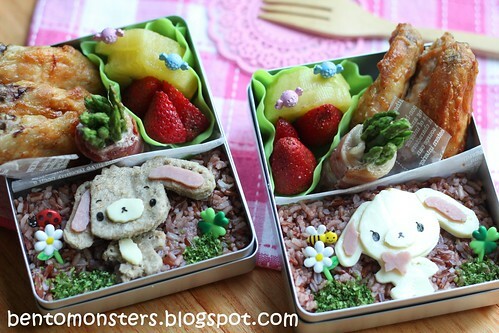 For their lunch, they had multi-grained rice, with grilled wings, bacon asparagus, golden kiwis and strawberries. 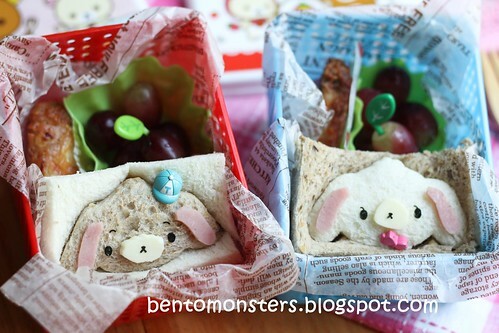 And sugar bunnies sandwiches for their snacks in School, with grilled wings and grapes. 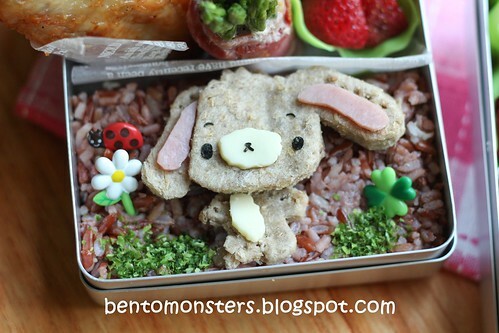 Tk u very much, Michelle, I love urs too! 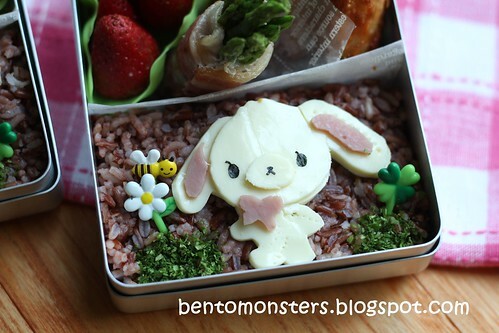 The sugar bunnies are so cute! 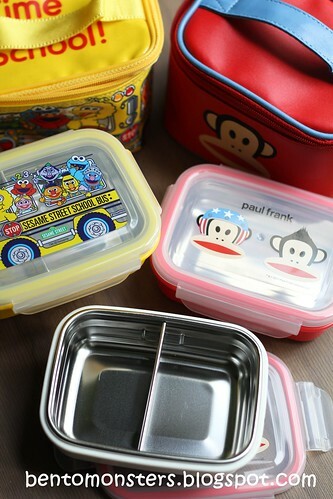 And very nice lunchboxes! May I know why is there a need to poke the cheese?